Like many homeowners, you probably have a dining space that’s not well thought out. Perhaps you don’t even know the dimensions of your dining room let alone other areas in the house. 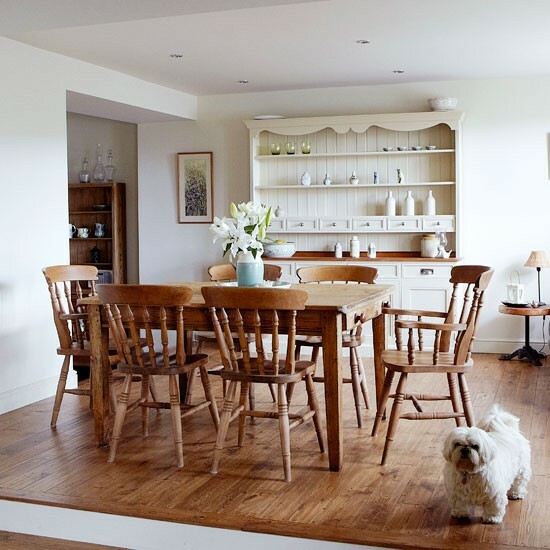 Whether you have a table placed on the living room as a dining space, a kitchen diner or a separate space for dining, there are a number of planning ideas you should know. If you have seen the color red conspicuously found in dining spaces or restaurants, you should know it’s not by mistake. Red hue has a way of stimulating appetite and one of the energizing shades around. It’s perfect as the backdrop for socializing situations and a color you might want to plan for while designing your dining space. Don’t forget to choose the shade of red carefully to avoid applying an angry and oppressive hue on the space rather than a warm and easy color that encourages your family to enjoy meals together. Don’t paint too much red if the dining room is dark or small. Perhaps a red wallpaper or red colored painting would do. Note there are other colors to make your mouth water such as yellow and orange. You can also stick with neutral while avoiding purples and pinks due to their sedative nature; not great for entertaining or enjoying a meal. Some blue is also good to make everyone easy and encourage a conversation, particularly if blended with some white. It’s important to ascertain the shape of the table by paying attention to the plan of the floor. A rectangular floor space, for instance, will be sufficiently covered by an oval or rectangular dining table top while a square shaped dining space is best served by a round or square table. Remember that every person on the dinning table will need at least 26 inches linearly of the table top. The dining room must remain airy and lighted while using during the day perhaps by using natural light if possible. In case a room is dark due to its location, avoid curtains and choose neutral or pale blinds upon the windows. At night, a soft and warm ambiance is everything and can be accomplished by avoiding lighting from the ceiling or above. You can also put up lighters and lamps across the dining space at distinct levels in the process varying the room lighting. 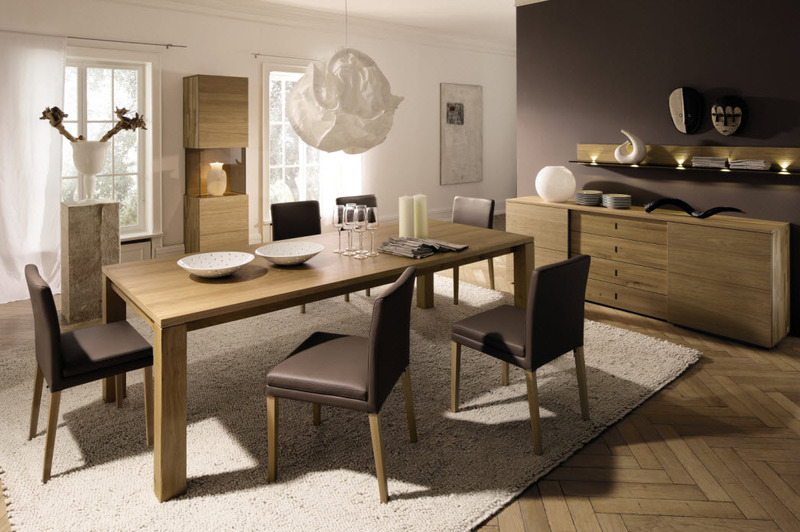 Once you have determined the size of the dining space choose the dining room furniture you need. There are many types of dining tables to choose from including best dining chairs of all shapes and sizes. Sleek modern designs and traditional furniture designs are all great for a dining space including dining set complements such as exquisite sideboards, buffets, and dressers. Read our article about the importance of choosing the best dining chair. If you have dead space on your dining space you can fill it up with more furniture choices like china hutches great for dish displays behind a glass cabinet. Think about buffet tables that add some extra space for serving meals and doubling as serving for before or after dinner cocktails or a bar. Modern homes do not have lots of space and open dining room plans allow for the integration of dining spaces with kitchen areas or contiguous living spaces. You might not have a place to add a china cabinet or sideboard but you can solve this problem by going for a tall cabinet enclosed with glass offering space for more tableware storage while displaying a decorative outlook. Before you plan your dining room, be clear about the functions the space will play and the frequency of use and access. For example, dining rooms will most definitely require tables and chairs while doubling as a reading area for children to complete their homework or home office. The dining room might also be a walkway being used to access other sections of the home or room. This means a table should not be placed in a place where it can block traffic through the dining space. A dining room can also do with some workstation area. Always have a drawn dining room plan indicating the furniture needed and have it around while shopping for these dining set pieces.